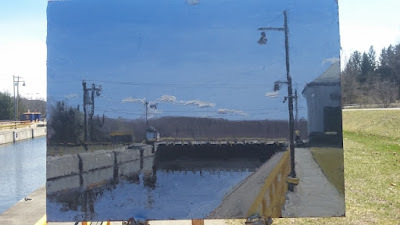 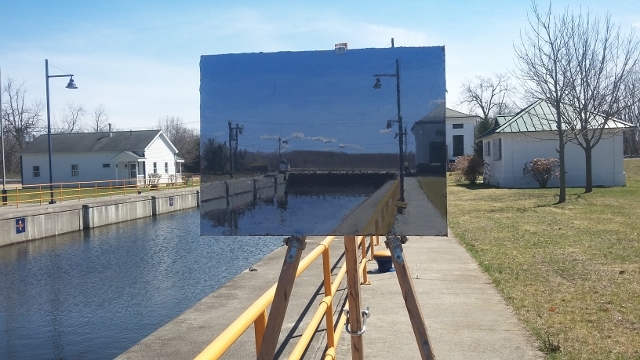 Matt Chinian Painting Blog: Champlain Canal lock #5 Hudson Crossing Park, Schuylerville, NY. Champlain Canal lock #5 Hudson Crossing Park, Schuylerville, NY. 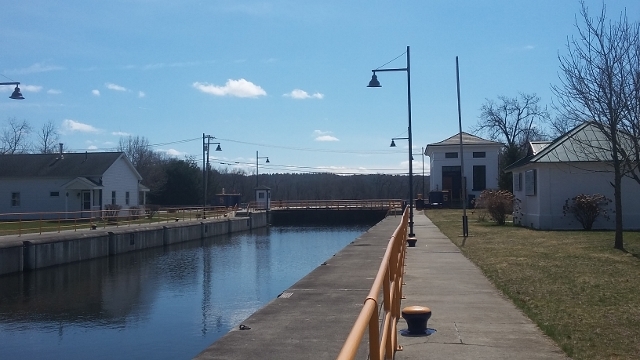 #746 Champlain Canal Lock 5 Hudson Crossing Park, Schuylerville, NY. I drove around a lot and passed thousands of places that could have been painted, I came here to a familiar spot, walked around and found a familiar scene and painted it in a familiar way. 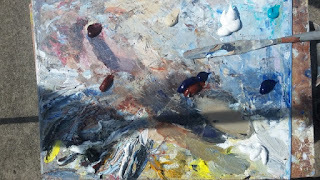 If this sounds defeatist or redundant, it's because it felt a bit like that. It's hard to innovate all the time, maybe it's not desirable, the scene had the black rectangle of the gate, the sky and water, and that perspective, so I should have been more satisfied. 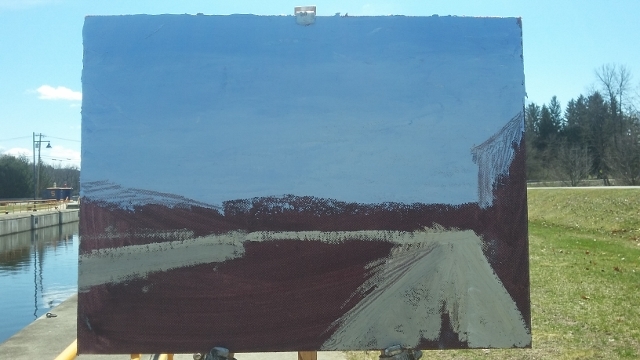 Maybe I'll like it more tomorrow.